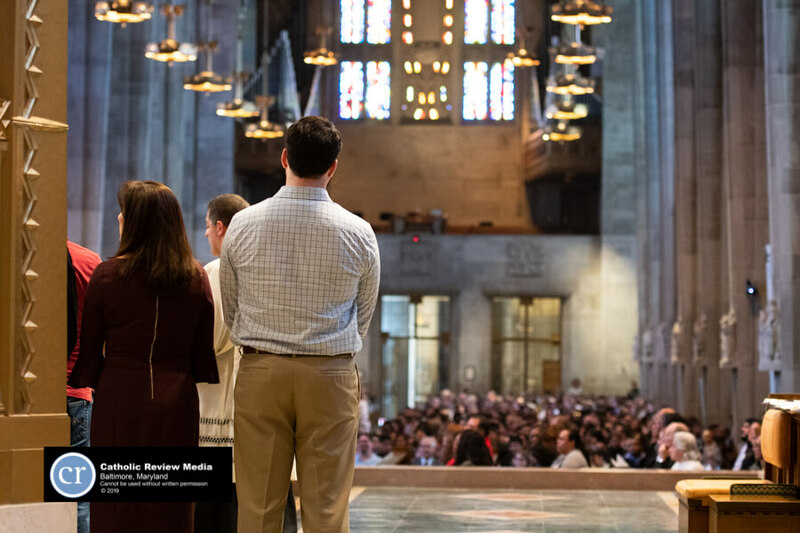 The 219 catechumens and 392 candidates are to be fully initiated into the church on the Easter Vigil April 20. 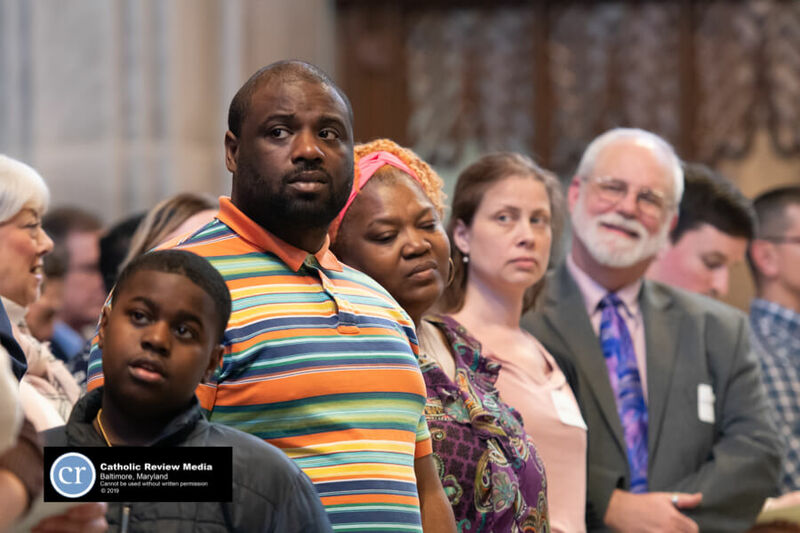 Catechumens are those who have not been baptized in another Trinitarian faith tradition, and are preparing for the sacraments of baptism, confirmation and Eucharist. 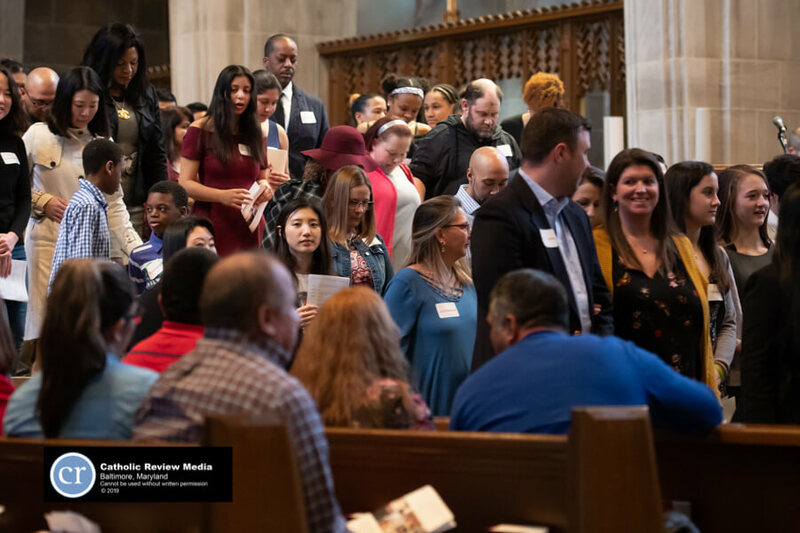 Candidates are those who have already been already been baptized, and are preparing for the sacraments of confirmation and Eucharist. 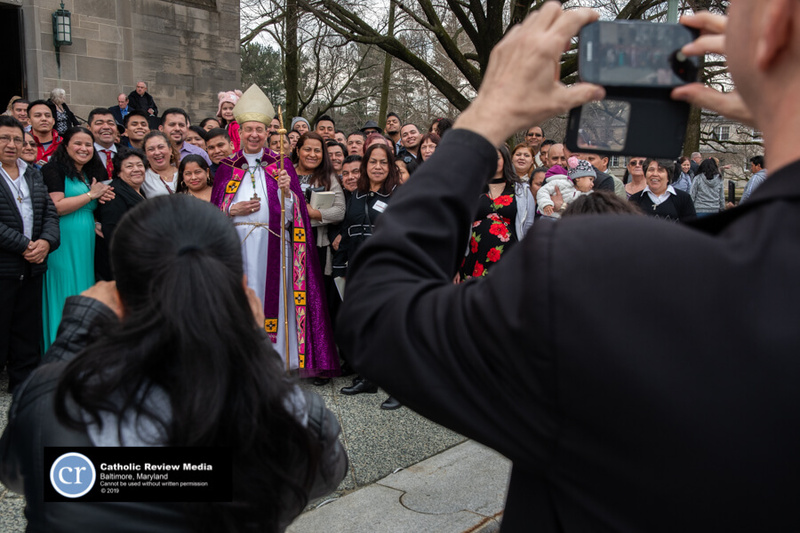 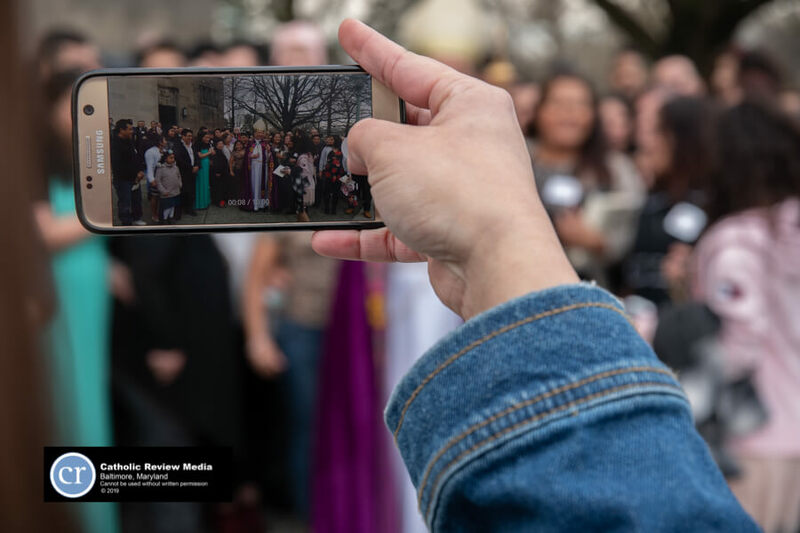 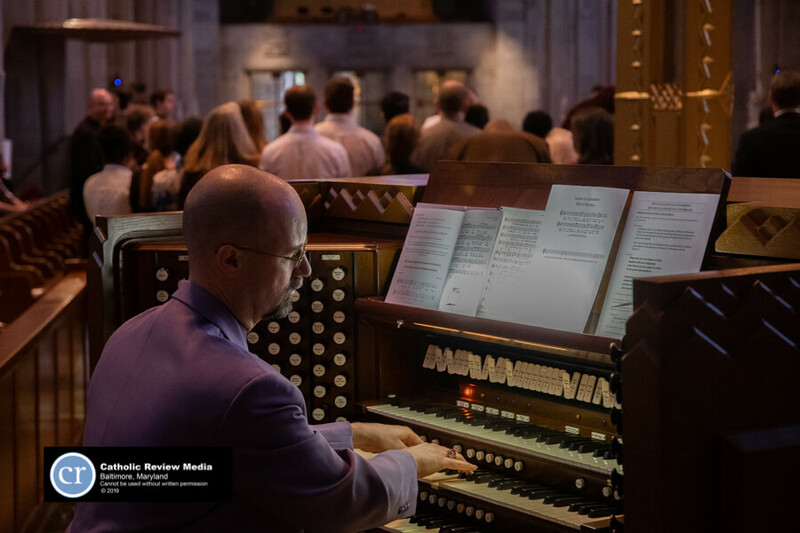 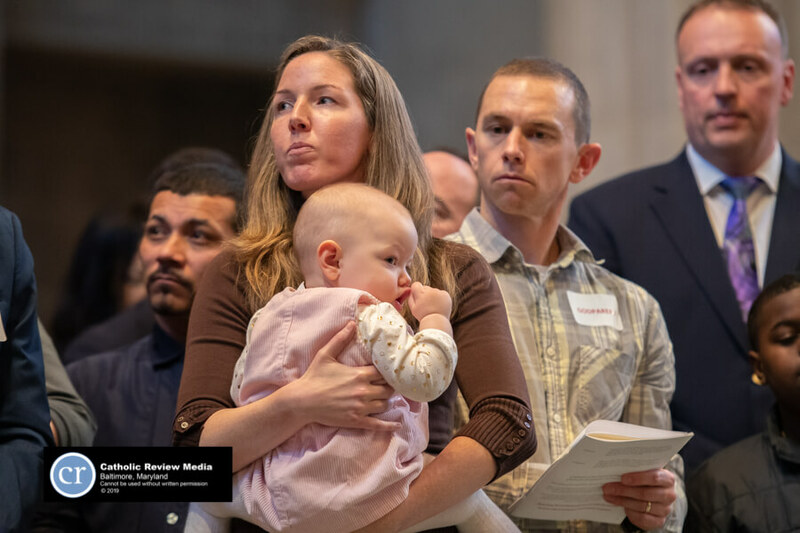 More than half the catechumens and candidates were gathered at the Cathedral of Mary Our Queen in Homeland, where Archbishop William E. Lori presided. 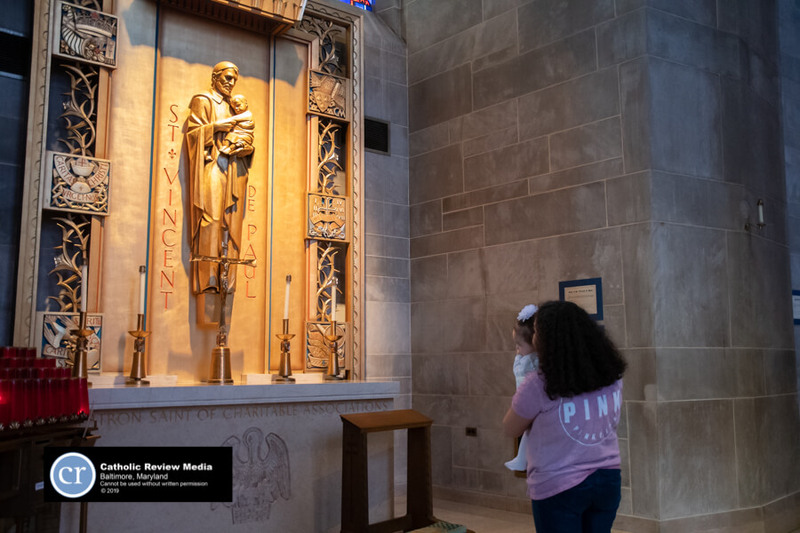 Auxiliary Bishops Adam J. Parker and Mark E. Brennan presided at the rites at the National Shrine of St. Elizabeth Ann Seton in Emmitsburg and St. John Neumann in Annapolis, respectively. 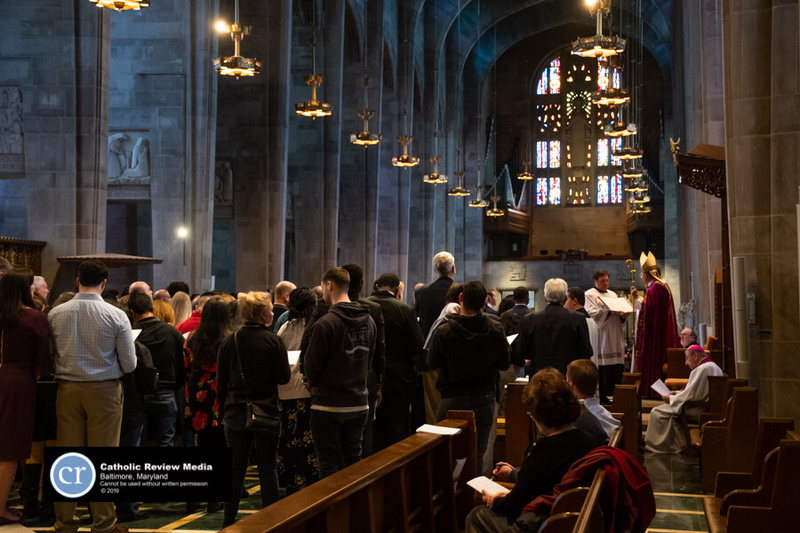 In this rite, catechumens become “the elect” and enter into the next phase of their journey, “Purification and Enlightenment,” marking the end of formal studies and the beginning of a period of intense prayer and preparation coinciding with the 40 days of Lent. 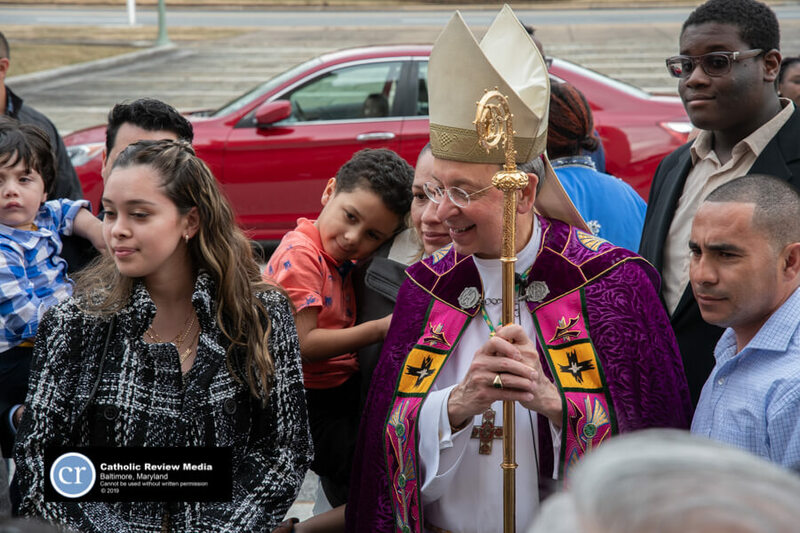 In his homily, Archbishop Lori discussed the daily choices a person makes, and how those gathered did not simply choose a new religious denomination. 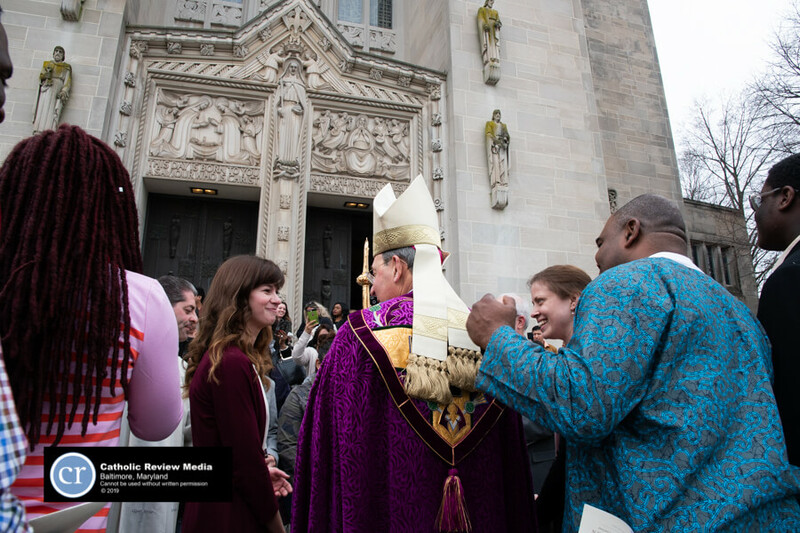 Those gathered, he said, have “said ‘yes’ to the action of the Holy Spirit” in their lives. 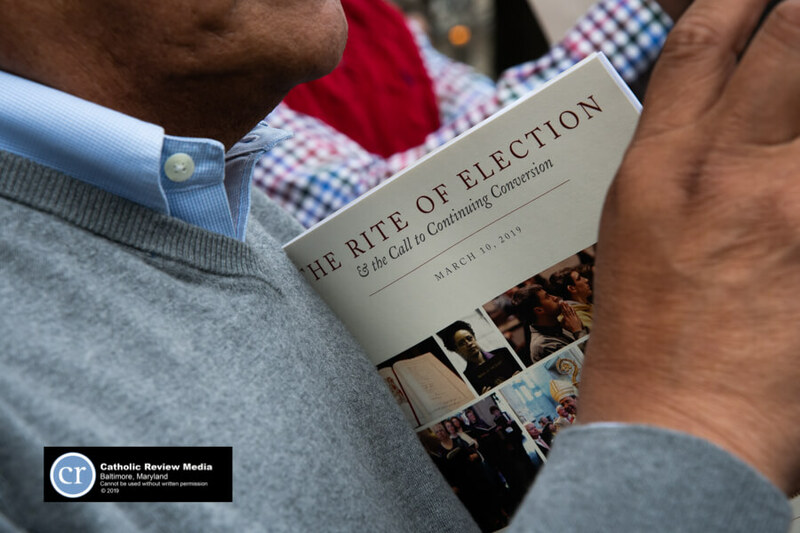 The Rite of Election is a requirement of RCIA – the Rite of Christian Initiation of Adults. 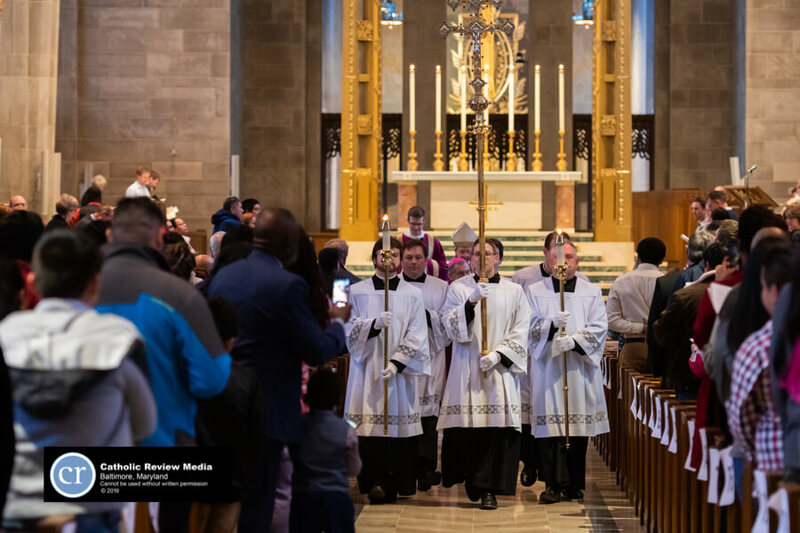 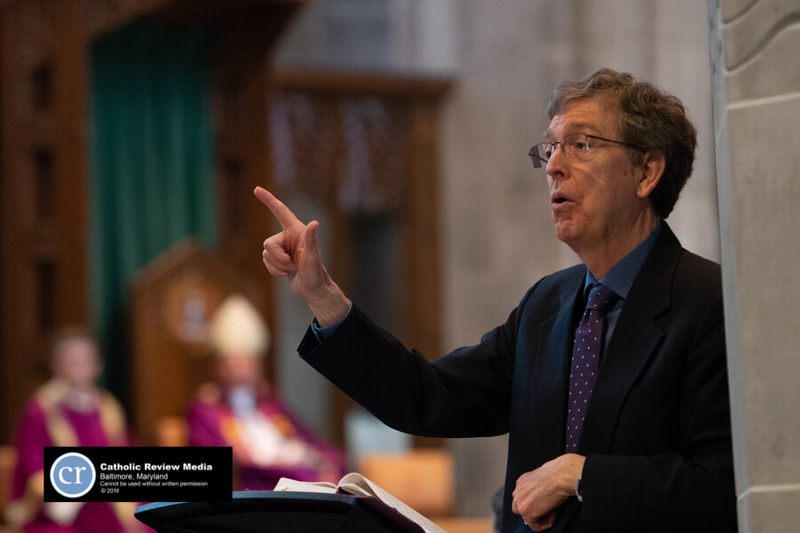 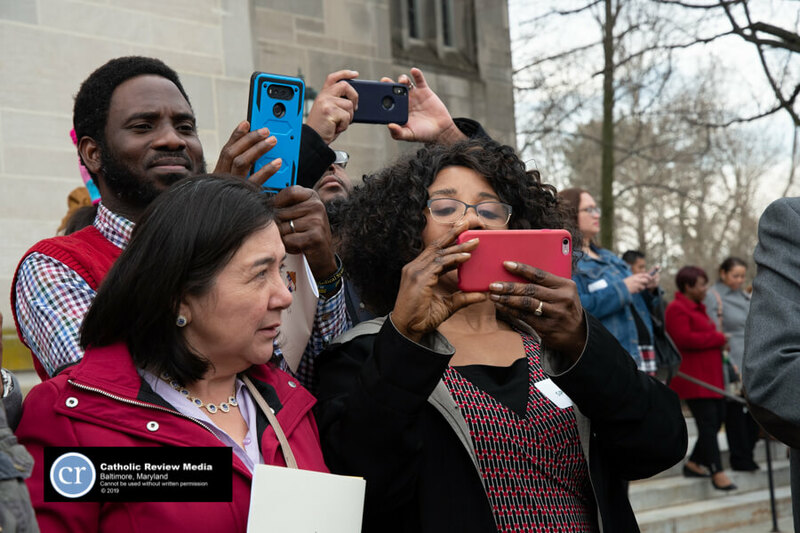 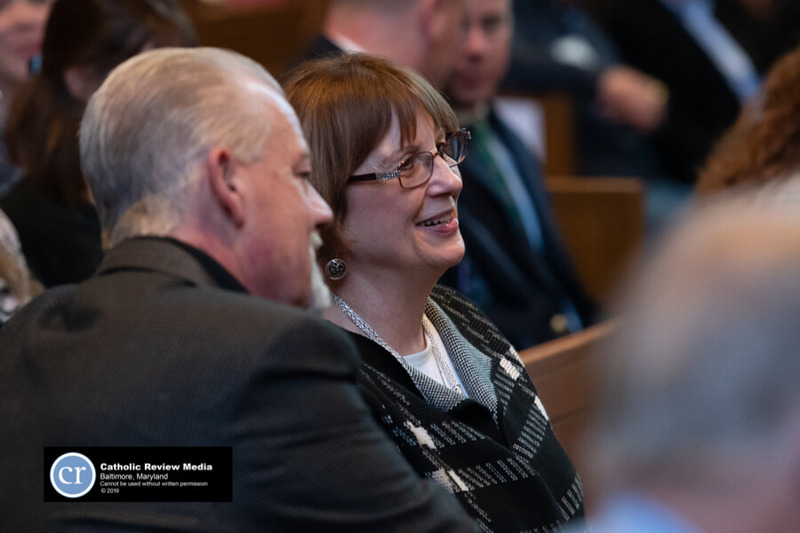 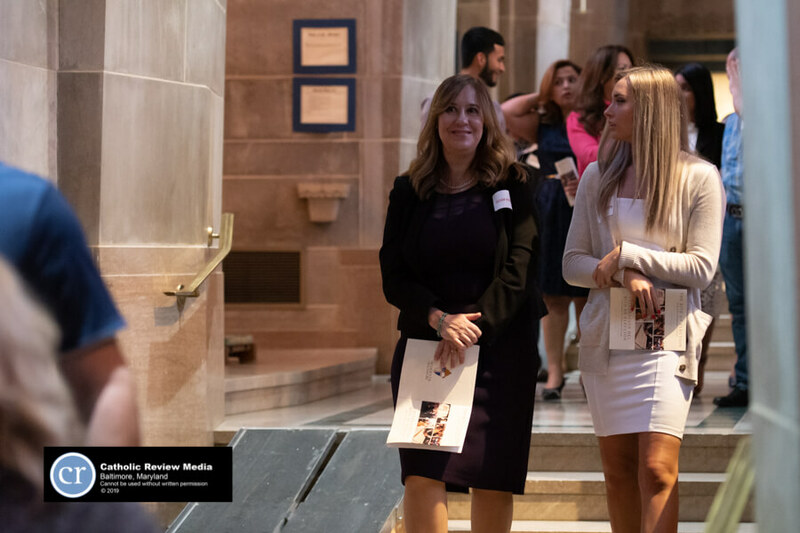 In the opening processional at the cathedral, catechists for nearly 50 RCIA programs at area parishes carried Books of the Elect containing the signatures of the catechumens. 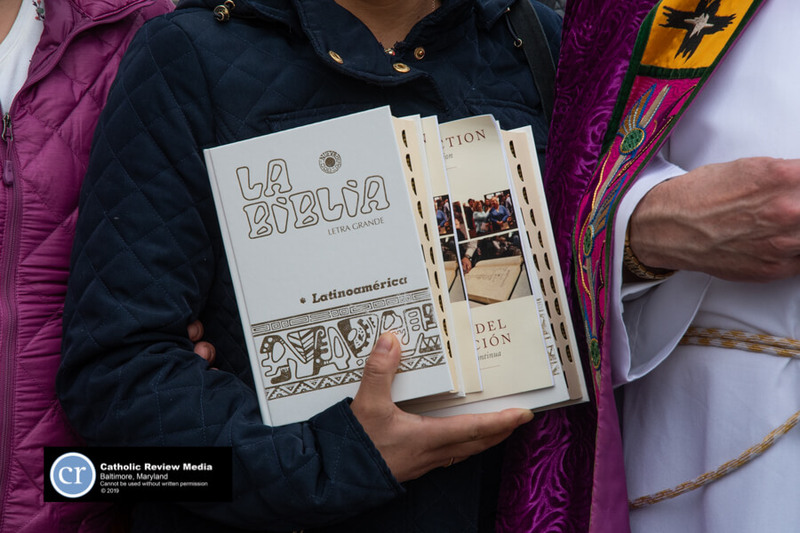 Every parish in the archdiocese has its own book that it maintains and brings to the rite. 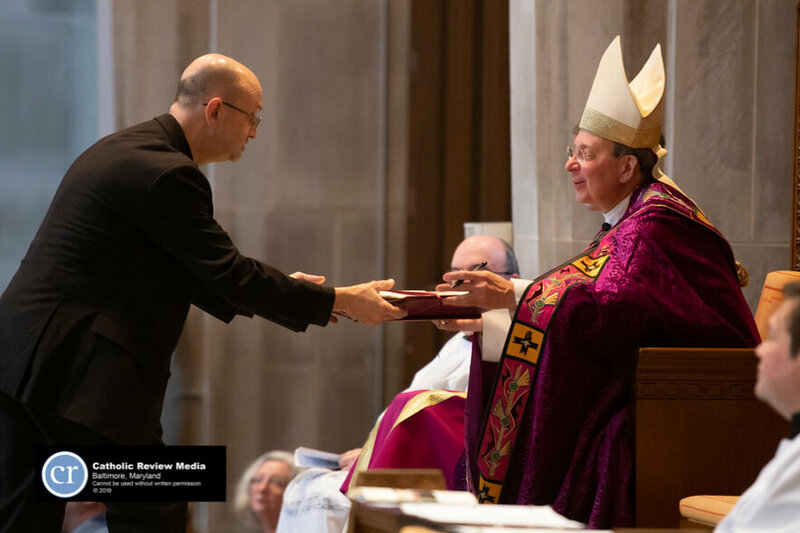 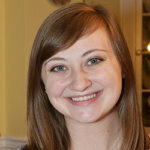 Some dioceses – such as the Diocese of Lafayette-in-Indiana, where Males worked before moving to Baltimore – have one large book for the entire entity. 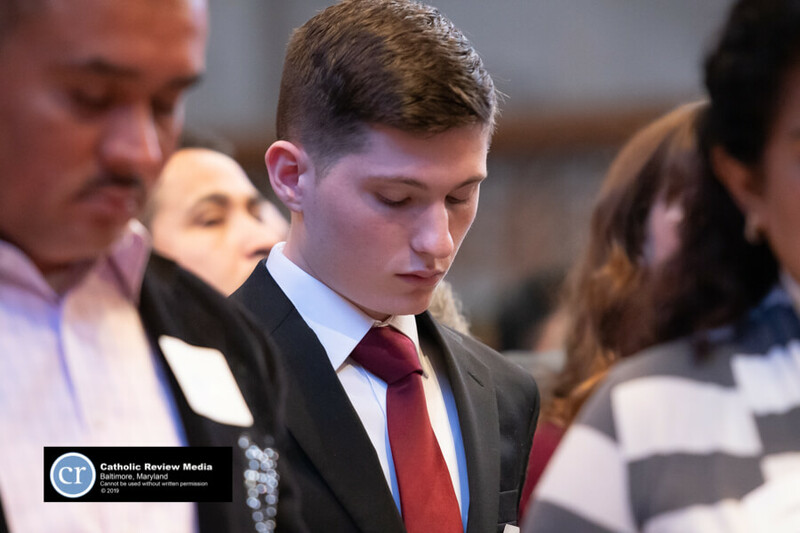 Signing names in the book, Males said, signifies the person’s presence and commitment to the RCIA process. 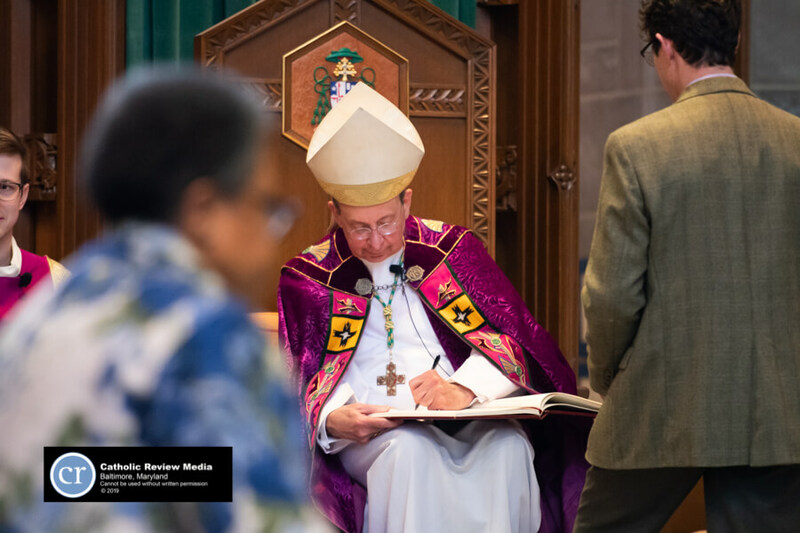 “The bishop recognizes that by signing the book himself,” Males said. 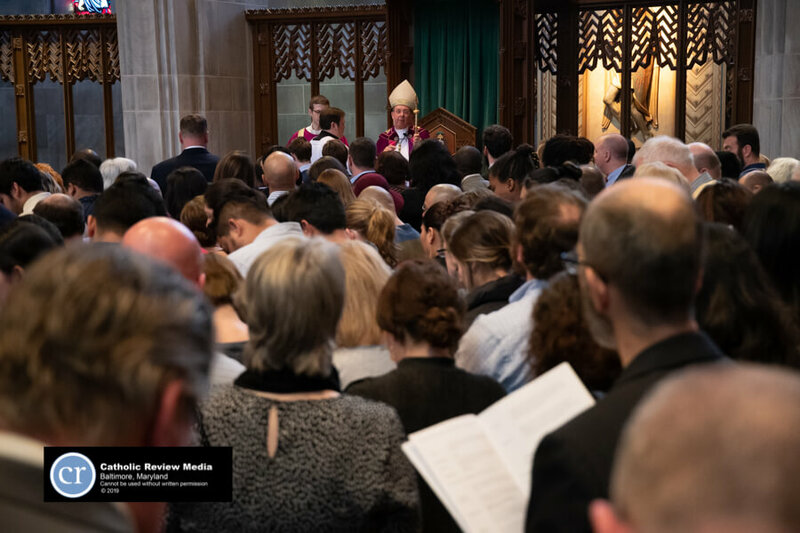 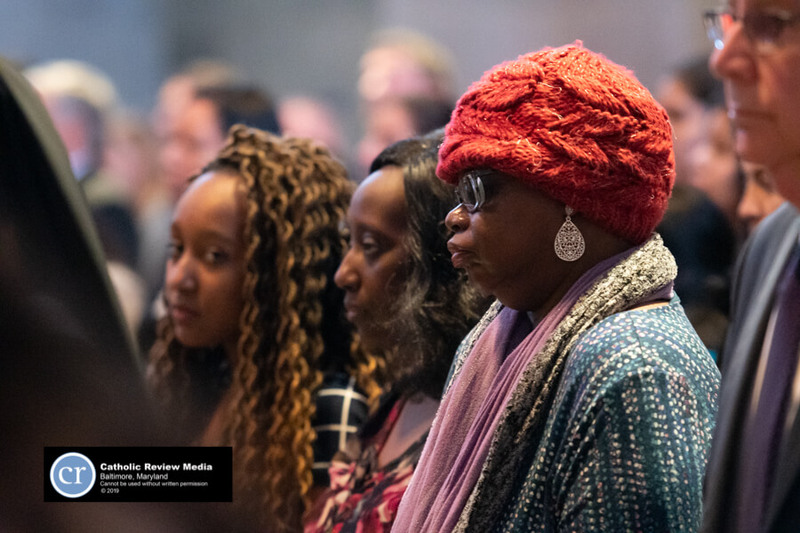 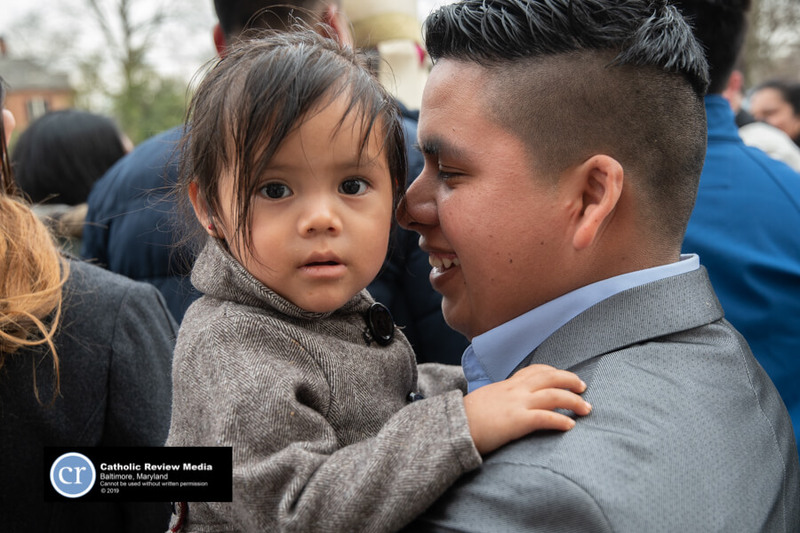 Ahead of the Rite of Election and the Call to Continuing Conversion, the catechumens and candidates participate in the Rite of Sending, an official sending forth from each individual parish. 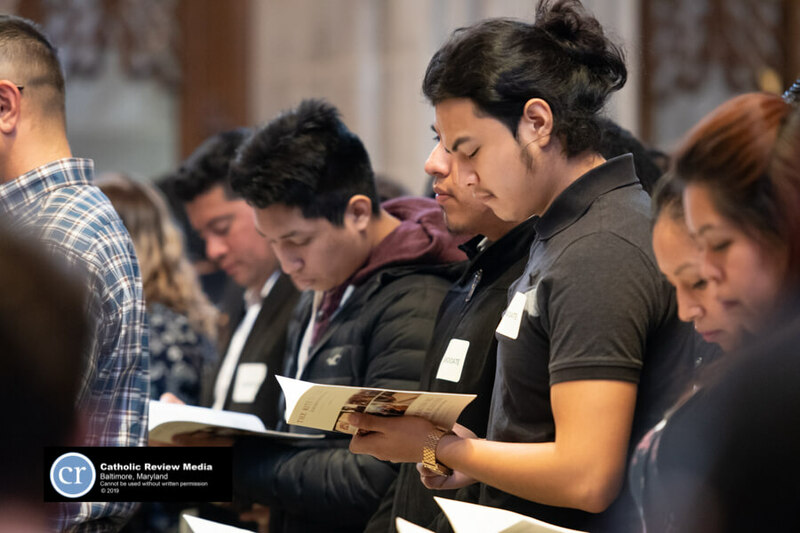 Mission Helper of the Sacred Heart Sister Sonia-Marie Fernandez, pastoral associate and director of religious education at St. Gabriel in Woodlawn, said some catechumens and candidates might feel embarrassment that they are teenagers or adults and have not received any or all of the sacraments of initiation. 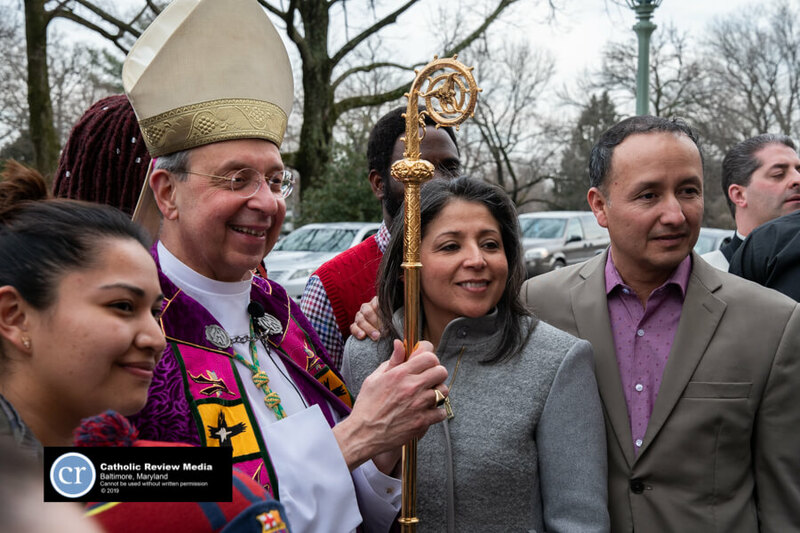 Coming together on the diocesan level, she said, lets them know they are not alone. 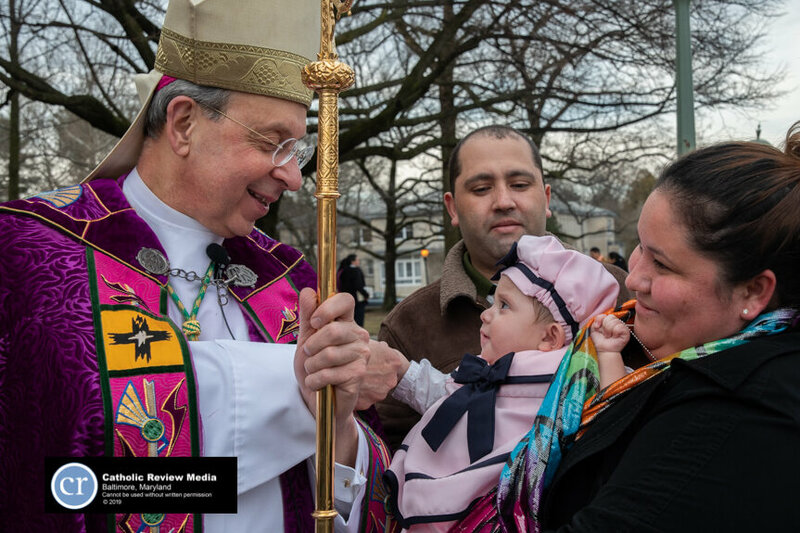 “I think it gives them a bigger understanding,” said Sister Sonia-Marie. 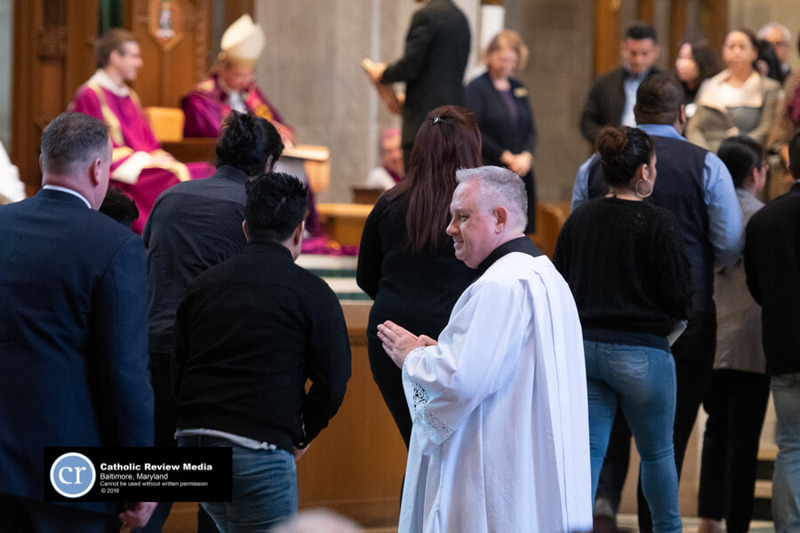 St. Gabriel’s Spanish- and English-language programs are to bring a combined 24 people into full communion with the church this year. 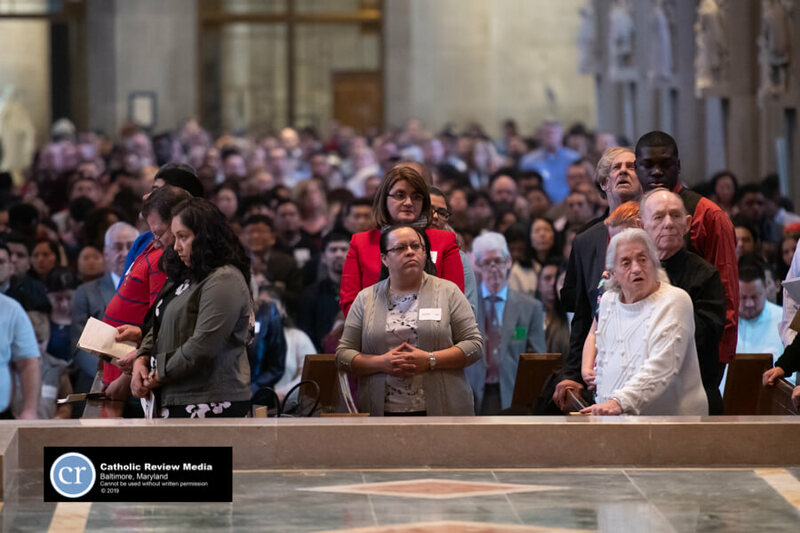 Sister Sonia-Marie appreciated that the rite was bilingual, with only a couple exceptions.